Pureza Cleaning LLC – Cleaning done right! Are a family owned and operated company, allowing us to offer more affordable pricing. Unlike most cleaning companies we do not charge extra for Deep Cleaning items such as inside of fridges and Oven. We are family owned and operated offering more personal client/cleaner relationships. You always know who will be in your home. Simple, Fast, and Flexible scheduling. 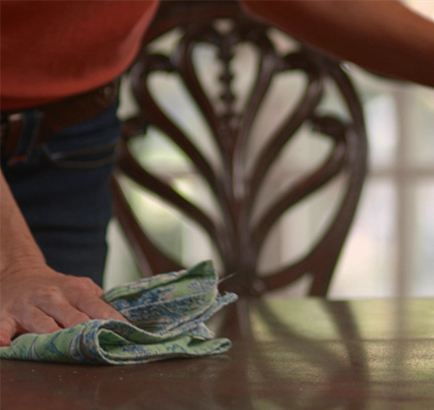 We use all natural environmentally safe cleaning products because we care about you and your family`s health. We offer detailed work in a time efficient manner. Simple and convenient payment options. Accepting all major debit/credit cards and Paypal. We are a pet friendly company and use only pet friendly products to insure your pets are safe and healthy. "They were great. My place is spotless. My appliances look new. They didn't miss anything. " ""When we needed some extra deep cleans, they were so flexible with our schedule, and followed our requests to the letter!"" "The staff was amazing!! My house looks amazing!" ""She did a great job and moved quickly. We have a pretty large house and she was able to clean almost the whole house in 4 hours."" ""The place looked great and I was able to just leave a key and they were able to let themselves in and out."" ""They did a great job, super easy to schedule, they came on time, and my apartment looks great!!"" ""Pureza Cleaning has done a great job cleaning our house over the last few months. They are always on time and flexible."" ""We have entrusted our home to Pureza cleaning for months now and we couldn't be more pleased with our cleanings."" "They are very courteous and flexible with scheduling. They don't miss appointments and act professional.""